Howdy folks! Today I have the brand new Urban Decay Naked Reloaded Eyeshadow Palette for ya! 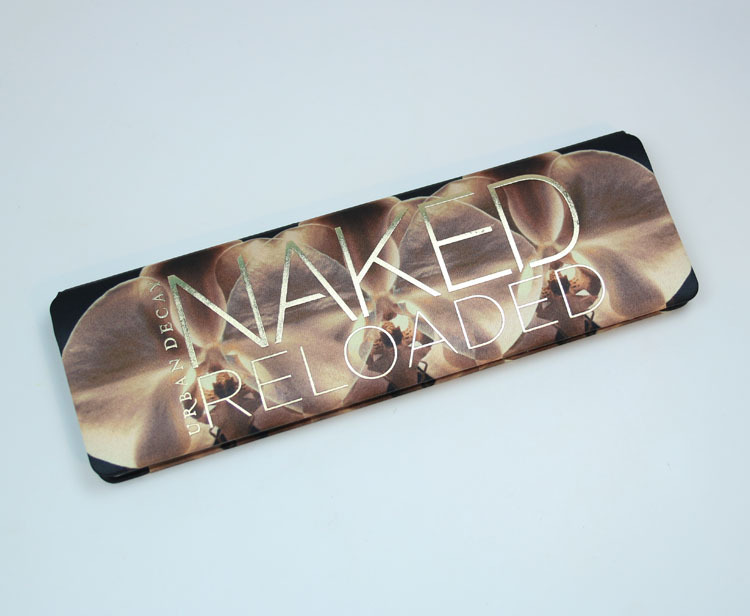 Urban Decay Naked Reloaded is a new take on the original Naked palette. This palette features twelve all-new eyeshadow shades. There are various finishes, and the colors are meant to be universal for all skin tones. The palette itself is made from a satin-like fabric, which is new for UD. I like it! Inside includes a huge mirror and four of the shades (most likely ones you will use most often) are bigger than the other eight. Bribe (larger size) is a very slightly shimmery vanilla. Barely Baked (larger size) is a metallic gold. Angel Fire is a metallic shimmery rose gold. Retro is a burnt orange matte. Reputation is a metallic copper. Burn is a metallic bronze. End Game is a matte chocolate brown with slight red shimmer. Dreamweaver is a metallic grey. Distilled is a metallic taupe. Bucked is a matte milk chocolate. Boundaries (larger size) is a camel matte with slight gold shimmer. Blur (larger size) is a matte vanilla/tan. I like this palette and think there are definitely quite a few shades I would use. 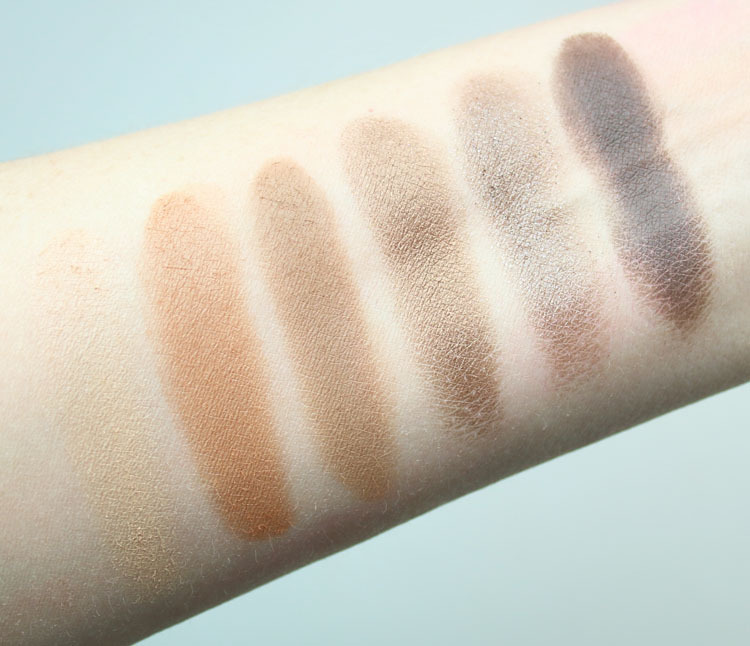 They are nicely pigmented shadows and I like the mix of cool and warm tones. I also like that they made a few of them larger (like the highlighter shades) because they are ones I use more often. I also love the satin-like packaging but it will be harder to keep it clean. 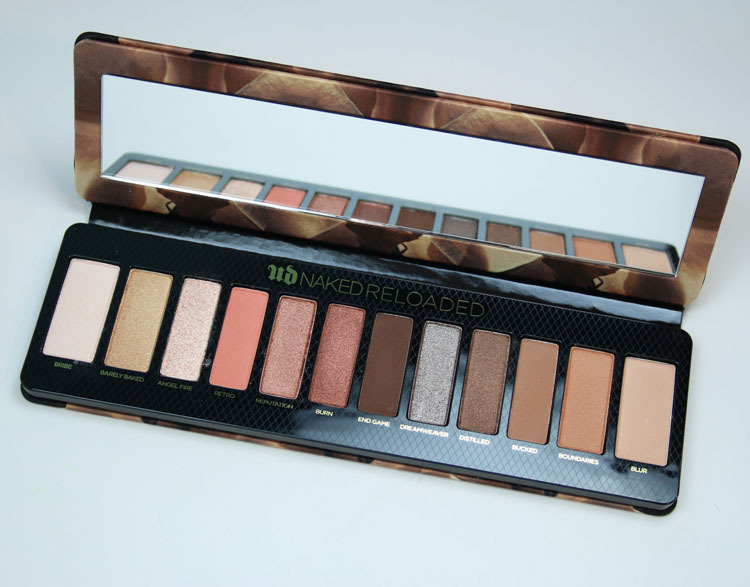 You can find the Urban Decay Naked Reloaded palette on their site and in UD stores on February 18th. It will be online at Sephora and Ulta March 4th and in Sephora and Ulta stores on March 7th. What do you think about Naked Reloaded? Woah this looks good! Thanks for the review. I’m so tempted to get it since I missed out on the original Naked. I’m so irritated with UD. The original Naked was my “go-to” palette. I was about to replace it for the third time because I was scraping corners on many of the colors only to find out it had been discontinued. These new colors are not for me. I see at least five that I would never touch. I’ll pass. I like this palette, but I doubt I’ll pick it up. It just seems kind of boring to me. I have the Naked 2 and never touch it. Maybe I’ll try it if it goes on sale. 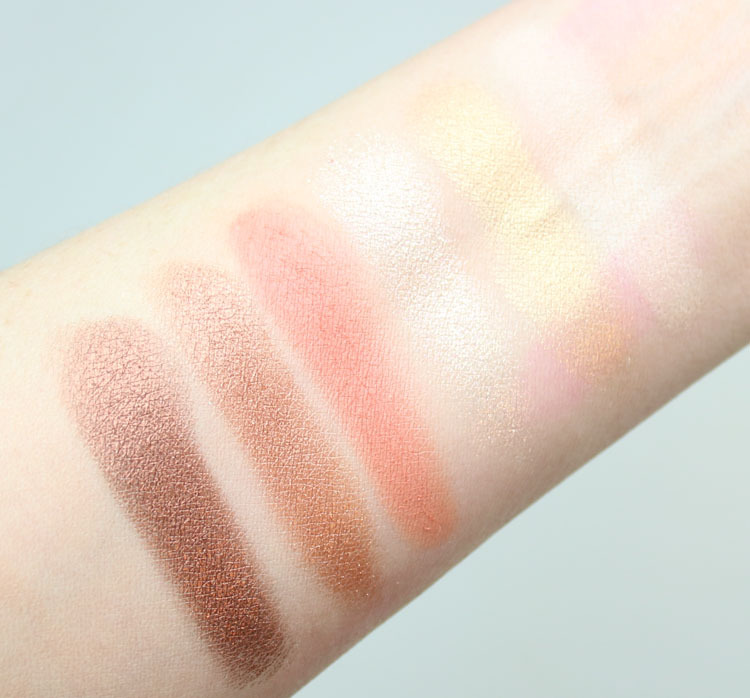 I thought I was gonna be interested in this one but after seeing the swatches I see too many similar shades. Will really only be able to get a couple usable looks out of it. Not enough contrast. Especially on that second batch of swatches. Gonna save my money for the Game of Thrones collection.